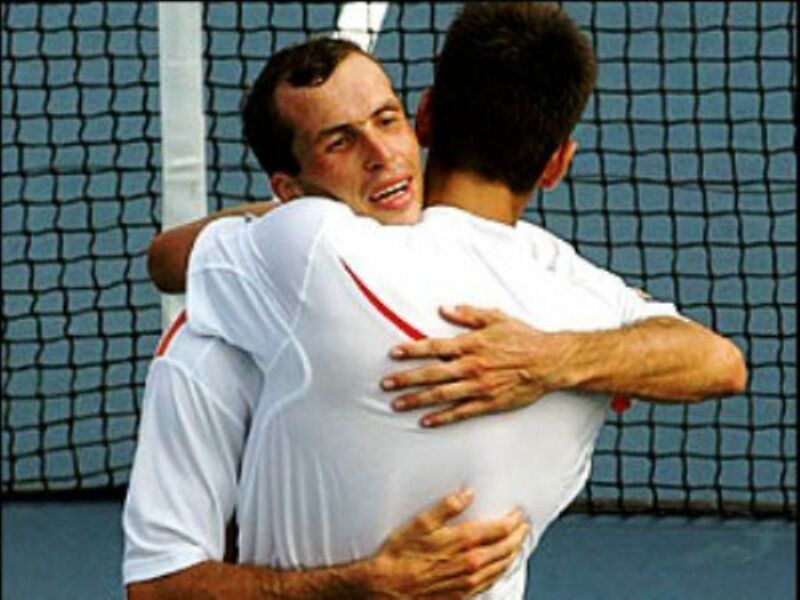 stepanek djokovic embrace 2 * * * * * . . HD Wallpaper and background images in the Novak Djokovic club tagged: novak naked icons djokovic gay bulge. This Novak Djokovic photo contains tennis player, tennis pro, and professional tennis player. There might also be tennis racket, tennis racquet, and chainlink fence.